The future of the Z car looks bleak as sports car sales continue to decline. This year’s Tokyo Motor show brought us more crazy concept cars than we could possibly count. Predictably, electric powertrains and autonomous technology were recurring themes previewing the future of the auto industry, but where were all the sports car reveals? We were eagerly anticipating the , but it was nowhere to be seen at the show. Likewise, Nissan didn’t show off its , which is in dire need of a refresh after being in production for eight years. Clearly, producing a new Z car isn’t a priority to Nissan right now. The Nissan Z car’s 50th anniversary is fast approaching, but judging from a recent interview with the automaker isn’t in a hurry to build a 370Z successor due to declining sports car sales. Executives couldn’t even confirm the car’s existence, let alone when we can expect it to go into production. Not a good sign. “There is a lot of passion behind this vehicle… at the same time it’s a segment that is gradually declining, making the case more difficult. We have no intention to quit excitement, but we’re going to make it happen in different ways” said Nissan’s chief planning officer Philipe Klein. 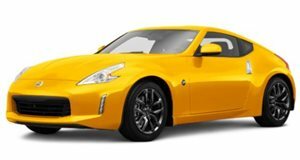 Other rumors have previously suggested that the Nissan Z name will be applied to a sporty crossover much like the new Mitsubishi Evo. Again, Nissan refused to confirm anything concrete. “I can say we don’t have a fixed thing yet… but how can we be completely blind of the importance of that name to the company? said design chief Alfonso Albaisa. “Maybe you can feel that I love these cars… but I can’t say too much or I’ll be taking a train home [instead of my company car]!” he said. While the Nissan Z car’s fate looks uncertain, the automaker added that the GT-R is a better halo car so at least Godzilla’s future is safe with a next-generation model due to arrive in 2018. “We have the GT-R and we believe there is some good potential behind this. And we have in the same category all the effort we are starting to make on the NISMO side — which is another way to offer excitement to our customers, leveraging the more conventional body styles." 2019 will mark the Z car’s 50th anniversary, but whether the iconic sports car will still be around to celebrate it remains to be seen as its future is looking bleak right now.